Tyre pyrolysis oil is refined from waste tyres by tyre pyrolysis plant. It is also called as tyre oil, bio oil, pyro oil, as well as furnace oil. It is has good market price. But tyre pyrolysis oil can not be used for vehicle directly. 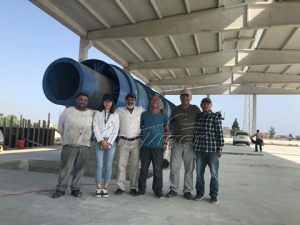 It need be refined by tyre pyrolysis oil distillation plant for sale. This plant can turn tyre oil to diesel oil and gasoline. Kingtiger is a professional manufacturer for tire pyrolysis oil distillation machine to diesel in China. 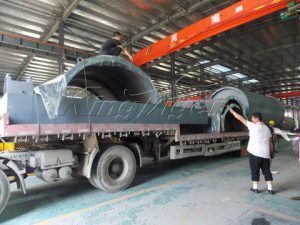 Kingtiger Group is professional manufacturer for tyre oil distillation plant. 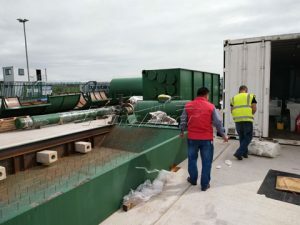 Our plants have been exported to over 30 countries. 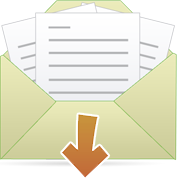 Our expert team has rich experience in supplying solutions according different requirements of customers. And our modern factory welcomes your visit. 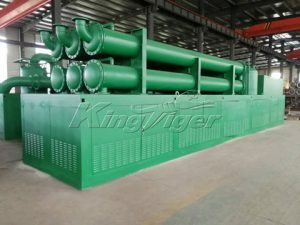 Kingtiger tyre pyrolysis oil distillation machine is standard. 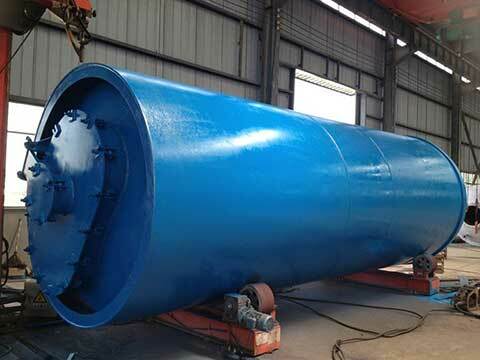 It can be used for refining tyre oil, plastic oil and waste oil into diesel oil and gasoline. 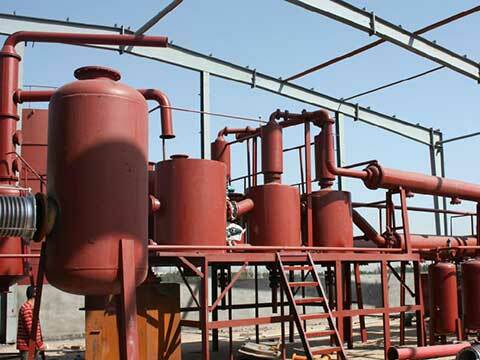 Our distillation machine adopts dry distillation technology and scientific closed distillation process. We can ensure that it is very environmental and free of secondary pollution. 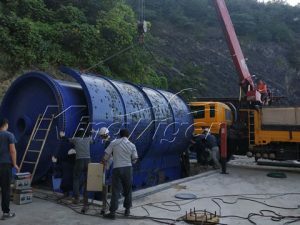 The tyre oil to diesel plant will be sealed after tyre pyrolysis oil has been pumped into distillation reactor. High quality diesel oil and gasoline will be produced according operating procedures. 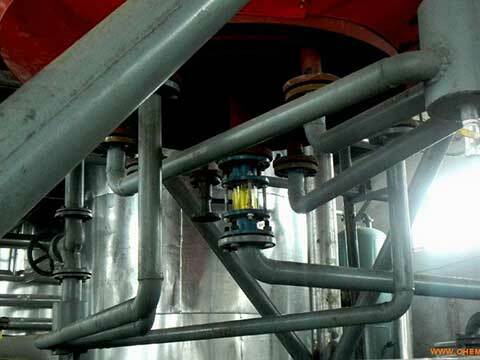 In the distillation process, exhaust gas will be transported into reactor as fuel, after it has been purified by advanced purification system. Dust in reactor will be disposed by professional dust cleaning device. Our plant has unique advanced technology to use combustion efficient. It can save fuel cost. 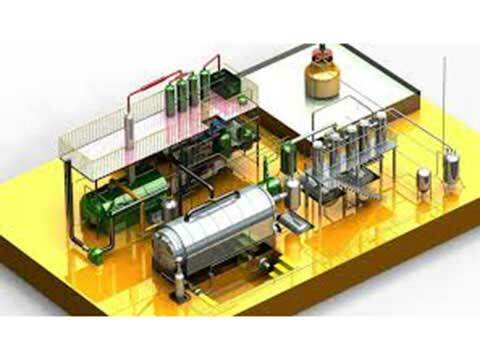 The detailed production process is same as the pyrolysis oil distillation plant.